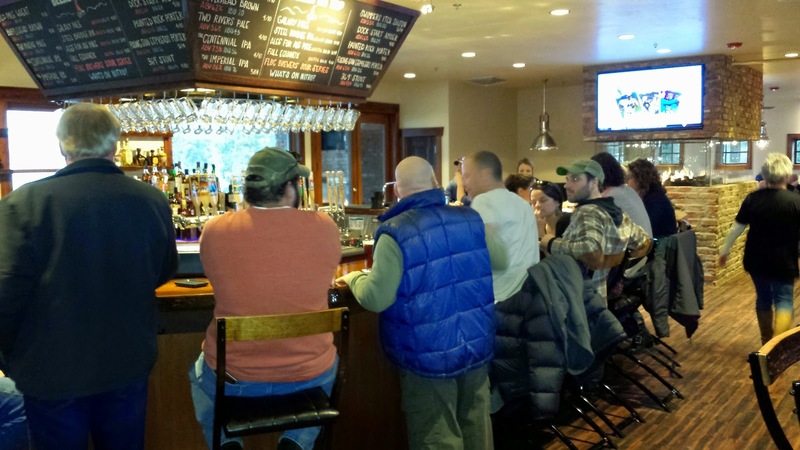 Montana Beer Finder: Flathead Lake Brewery hits a grand slam with its new Bigfork facility! 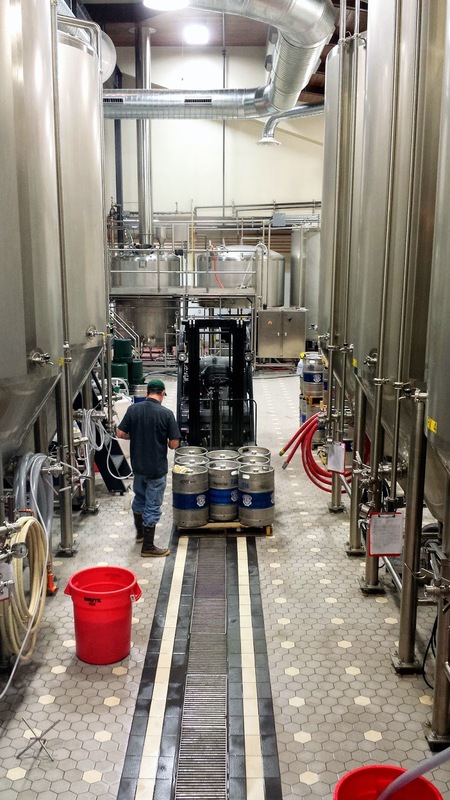 Flathead Lake Brewery hits a grand slam with its new Bigfork facility! 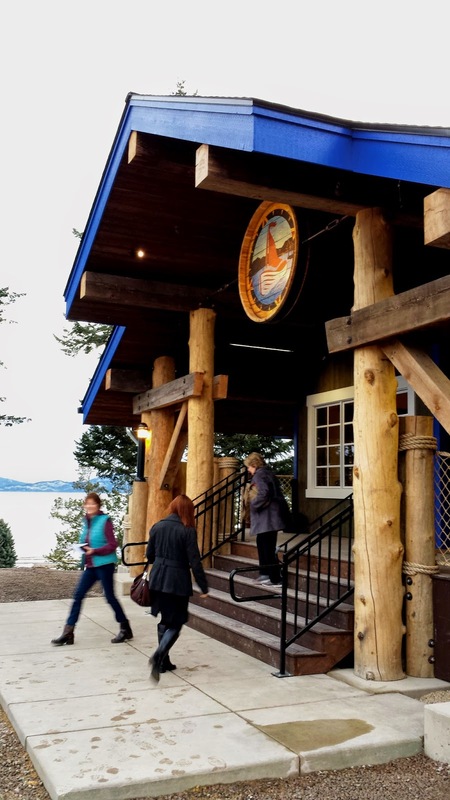 As I approached the new Flathead Lake Brewery I admit I really didn't know what the interior of a LEED certified craft brewery might look like. Short of constructing this place out of dirt, this facility is about as green as you can get so there was a very good chance that I was going to walk into a place unappealing, understated, and underwhelming with walls made out of unpainted OSB. 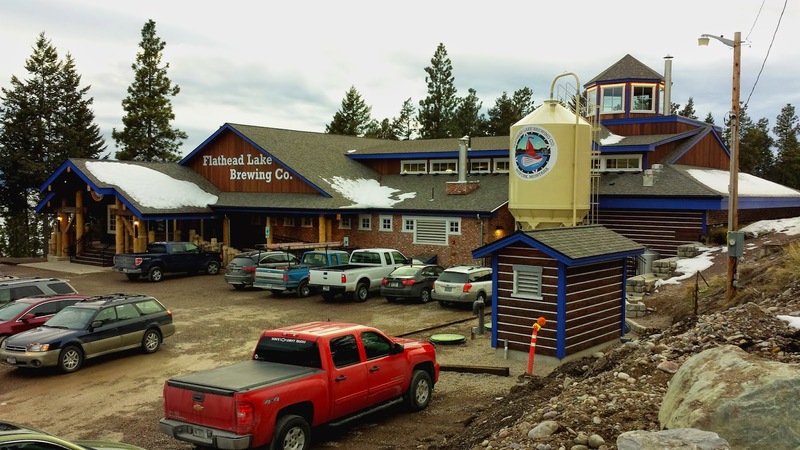 Judging from the exterior of Flathead Lake Brewing's shiny new mothership facility in Bigfork, I had a pretty good idea that I was about to walk into something special. Before I go any further, I think it's worth pointing out exactly what it means to be LEED (Leadership in Energy and Environmental Design) certified, because it's really a commendable step that FLB has taken, not to mention very expensive and time consuming. Developed by the U.S. Green Building Counsel, LEED is an ecology oriented building certification program that concentrates its efforts on improving 5 areas of environmental and human health: energy efficiency, indoor environmental quality, material selection, sustainable site development, and water savings. What does this translate to, where you're concerned? Well, let me tell you. For starters, when you park in the parking lot (when the parking lot is finished) you will be parking on a lot designed to funnel away and collect the majority of that nasty, oily, runoff water and clean it before it makes its way into the aquifer and down the embankment into that jewel of a body of water, Flathead Lake, which sits directly below. As you pass through the entryway, you will be passing under wood that was reclaimed from an historic bridge that once spanned the Swan River. Speaking of wood, all the wood used to construct this building was sourced locally and what wasn't cut was pulled out of Montana rivers. The brick you see on the exterior and interior were all salvaged from a building being demolished in Spokane. 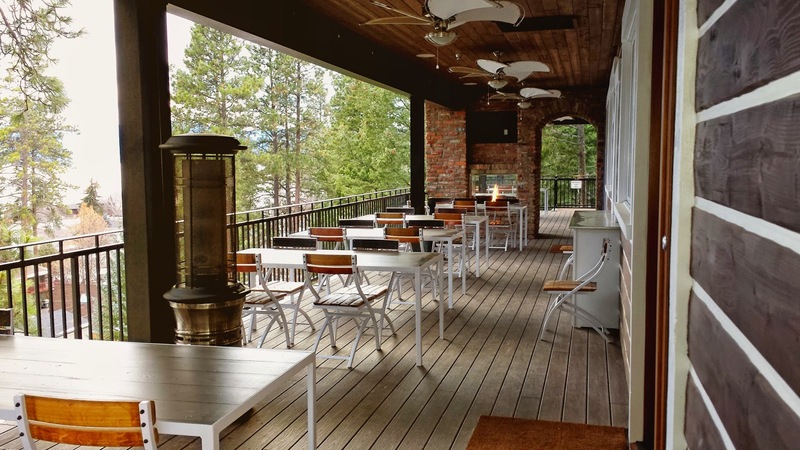 The bar stools you will be sitting on are made from repurposed old wine barrel slats and tops made by Whitefish's Vinoture, the fan blades on the deck fans are made from old sail canvas, and even the menus are from recycled paper. Solar panels on top of the building heat water for the brewery, and a high tech geothermal system uses recycled steam to heat the wort vs. using a gas flame. A water furnace heat pump is also used for boiling as well as heating and cool the brewery. As you can see, the focus on the design of this building is to conserve, repurpose, recycle, and reuse. Even the spent grain is shipped out to local farms to feed livestock. I mention all this because I want you to walk into this place and know that it's not just another pretty face that sells beer to be fussed over; it's an outstanding example of responsibility and stewardship of this rock that we all live on. OK, those were the technical bits and we all already know that they make great beer, but how does it look? In a word, fantastic! I'd put this inviting space up against any trendy brewery in craft beer crazy Seattle or Portland and defy you to say that it's lacking. The layout. As you make that walk from the front door to the hostess' podium, you will have ample time to admire the beautiful wood floor they installed, but when you look back up you may have some confusion as to what's what and which way you should go. To the right of the hostess you will find a tap room which is a low key, quieter space that my group of 15 had to use as a kind of waiting room while the main bar thinned out enough to accommodate my group. 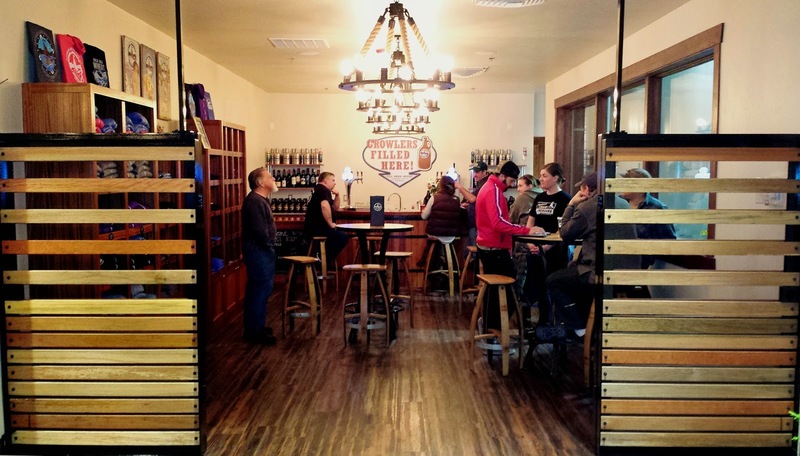 The tap room is a nice intimate space that you and your brew-buddies can easily discuss the attributes, qualities, mouthfeel, front end, and fish of the craft beer that sits in front of you. Through watching the highly hypocritical Budweiser Superbowl commercial, we now all know this activity as "dissecting" the beer. 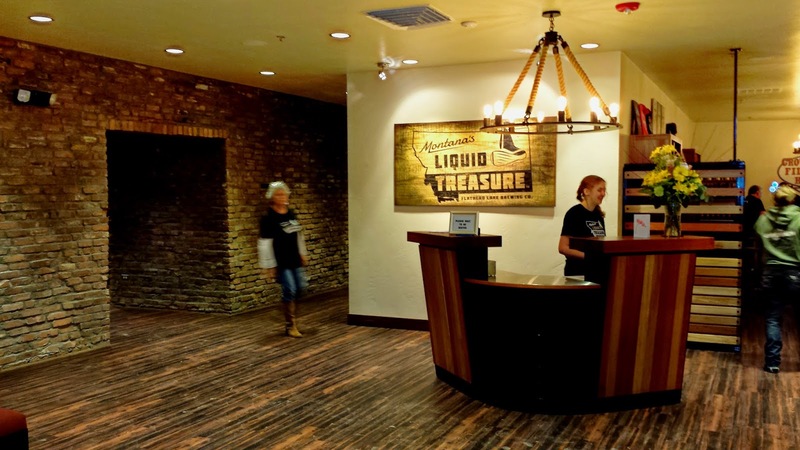 The tap room is also where you get your 1st glimpse, through 3 large windows, of where "Montana's Liquid Treasure" is produced. Looking like missile silos in a nuclear submarine, these 8 60 bbl tanks stand as a testament to how serious Flathead Lake Brewing is at being a major player in the Montana craft beer industry. 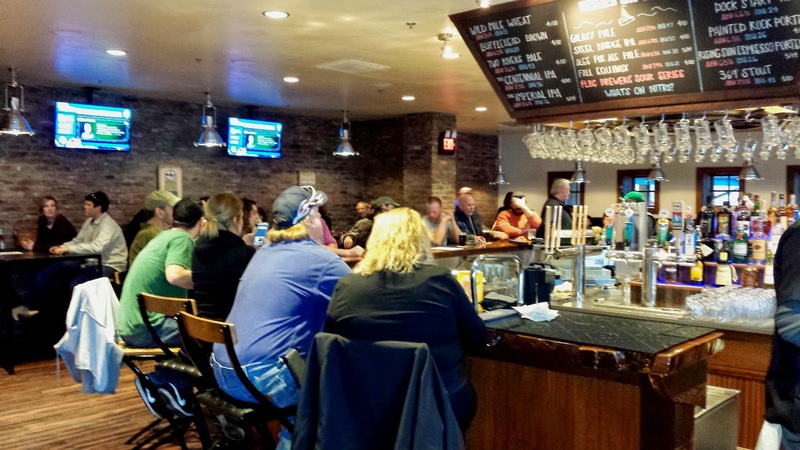 We eventually made our way to the main bar area where you will be find a U shaped bar with a 3 sided chalkboard with each side displaying all the beer available along with the ABVs, IBUs, and the per pint/growler price. Tables and chairs abound with a few monitors on the walls that should satisfy most sports fans. FLB has a full liquor license so if you bring in any non-craft beer drinking friends, they've got you covered. The brewery also has, thank God, a restaurant which I know is going to make a lot of people happy. There's one thing I haven't mentioned yet...the south facing deck. Oh the south facing deck! With its panoramic views of its namesake, beautiful Flathead Lake, these are going to be the most popular seats in town come summer. I just wish they had doubled the size of it as it's not going to accommodate all the people that are going to want to be out there when the weather turns warmer. That having been said, I'm just glad the place is finally open as this end of the Flathead Valley is teeming with craft beer aficionados. This is just one more reason for us to get down on our knees and thank whatever deity we take comfort in for interceding on our behalf causing us to call this area home.